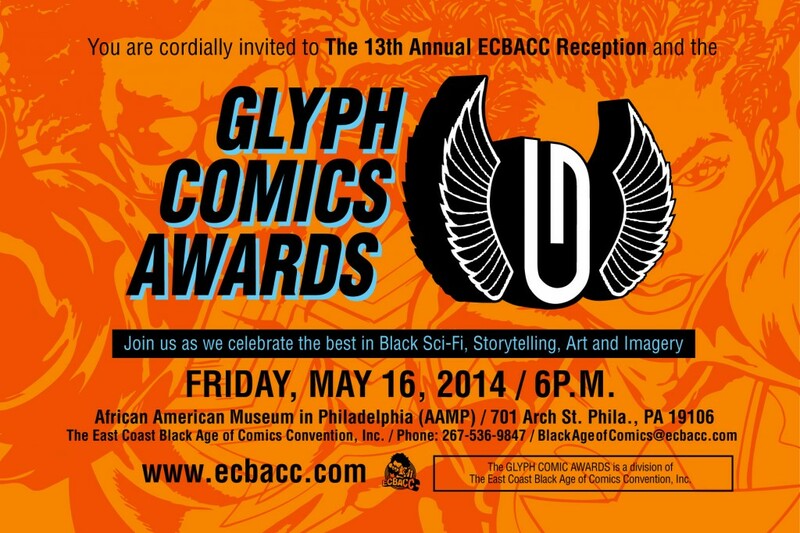 ECBACC, will present the 2014 Glyph Comic Awards Ceremony live and free to the public on Friday, May 16, 2014 / 6pm – 9pm. The GCA Committee is now accepting submissions for potential nominees! Will you be named as one of the winners of GCA 2014? For more information on how to send Nominee Submissions to the GCA Committee or how you can support the 2014 GCA program and ceremony, follow the link below. Join In, Celebrate, Submit, Be Recognized! As soon as I get self published,I’m in there! Thanks for the info cause this is the type of forum I’ve been waiting for. …and it’s on my birthday!